Glowing in rich teal, this luminous necklace puts a unique twist on everyday pearls. 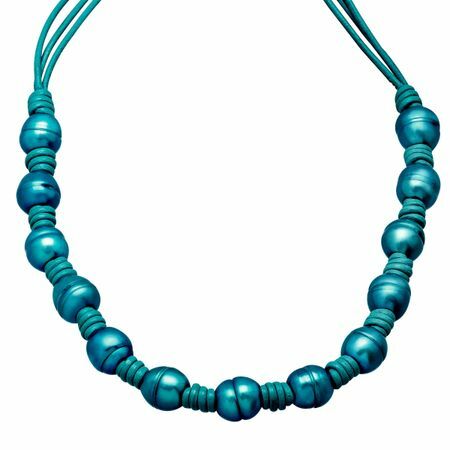 Necklace features 8 mm teal freshwater ringed pearls wrapped and strung onto teal leather cords. Piece measures 20 inches in length with a 2 1/2 inch extender.